Pupils with behaviour problems are too often "offloaded" into illegal schools, the chief inspector of schools says. 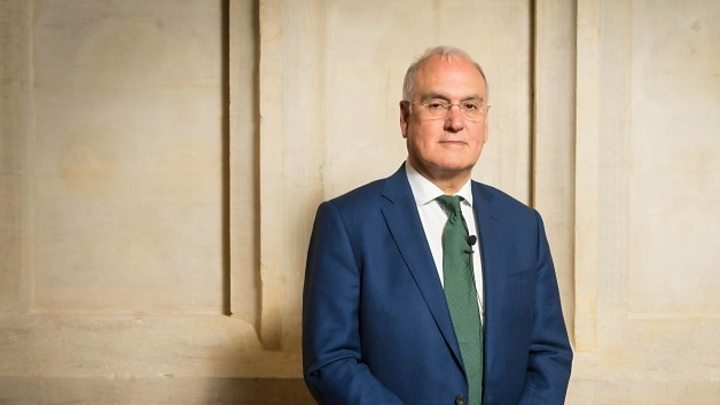 Sir Michael Wilshaw said mainstream schools in England must take more care of pupils sent to unregistered "alternative" establishments. Ofsted inspectors investigated 162 suspected illegal schools last year. Of those, 32 were centres run by charities or businesses where children excluded from school, or at risk of exclusion, had been placed. The others were either in Christian, Muslim and ultra-orthodox Jewish communities, or non-religious centres set up by home-educating parents. One of the alternative provision centres was taking £25,000 a year of public money for each child placed by a school. Another was using the public bar of a golf club as a makeshift classroom for teenagers, where they could come into contact with unvetted adults. May 2016: Ofsted warns many more children are being taught in illegal schools than previously thought. Sir Michael said he feared some people are "lining their pockets" looking after vulnerable excluded children, using poorly qualified staff. "That could lead to serious problems in our society. I'm not against schools using alternative provision as long as they take ownership of it." The BBC has been given unique access to Ofsted's team of inspectors over the last month, travelling with them as they investigate unregistered settings. In order to protect their identity, and the children, we are not naming the locations. By law, anywhere that has more than five children full-time, or one child with special needs, has to register as a school. That allows Ofsted to inspect the quality of the education the children are receiving. Just after 09:30 one morning the inspectors arrived at a community centre. 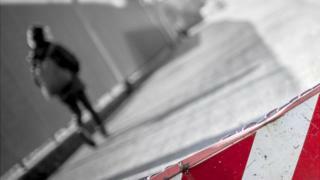 The inspectors found two rooms where teenagers excluded from mainstream schools were either following online learning programmes or going through basic lesson worksheets. The establishment was not registered as a school but the children explained that they were there Monday to Friday and most expected to be there for around six weeks. The pupils were being funded by local schools and the owner thought she was operating within the law. She said that while they do not have any qualified teachers, and have far fewer lessons in a day, she believed they offered better pastoral support than schools. She also thought schools were farming out their problem pupils because they could not manage them and that they were unable "to give them one-to-one support and make sure they're not just sitting in isolation all day". The charity's other centre was a half hour drive away. The inspectors' main concern was the building, a poorly maintained former youth centre, with no windows in the recreation room, litter on the floor and nothing on display on the walls. This was a relatively easy case because the charity immediately started contacting schools to say it could no longer take pupils. Some of the inspection visits to ultra-orthodox Jewish, Muslim and Christian education centres are more complex. I spent a day in the Midlands with inspectors following up on leads and checking up on places they had already closed. Unregistered illegal schools are often set up in unconventional buildings such as disused offices or industrial spaces. The trail took them to a building with signs up for a school, but it was locked. Without realising it they also took me back to a place which I tried to investigate a year ago. Then I found a large former pub, where an Islamic education for primary school aged children was being advertised. The inspector told me they had previously discovered more than 20 children being educated there, saying: "The building, was cold and unkempt, and unhygienic." But now they were satisfied it was just being used for adult religious instruction. As we drove around the nearby streets they told me that four illegal schools had been closed down within a quarter of a mile of each other. There is no shortage of places in local schools and all the children were found a place within 24 hours of Ofsted intervening. The inspectors are gathering evidence on their visits that could be used for the first prosecution of an illegal school. What the inspectors have found has left Sir Michael deeply uneasy. "It seems bizarre to me that a parent can take a child out of a school and not register them with the local authority. "It seems not just bizarre but dangerous that they can't investigate what's happening to these children," he said. He wants a tightening up of what he describes as the "lax" rules on alternative education.